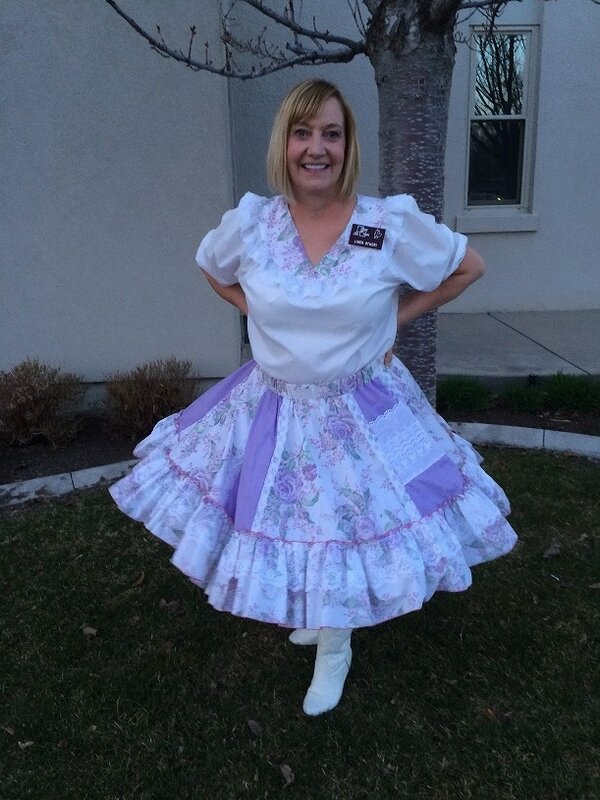 Linda loves to experience the energy and excitement of square dancing as she twirls and do-se-does around the floor. She learned her craft from the internationally acclaimed Brigham Young University International Folk Dance. Though she never traveled with the performing group that gladdens the faces of audiences in many nations as they take the stage all across the world, she brings smiles and happiness to others here at home that get a chance to dance with Linda. Over the course of her life she has watched her parents' love for square dancing and the seed took root in her heart, and today she brings joy to all who are lucky enough to get a courtesy turn with her. I know, because it was on the dance floor that she stole my heart one evening many years ago. Though she may not dazzle audiences with performances showcasing her variety of artistic tastes, she has swept me of my feet time and again ​the night we met and every day of my life since. Now our home resonates love and fun and safety, because she shares her vision of life and its great purpose with everyone she meets, her smile, her kindness, and yes the dance she does in your heart. We all love you Linda. 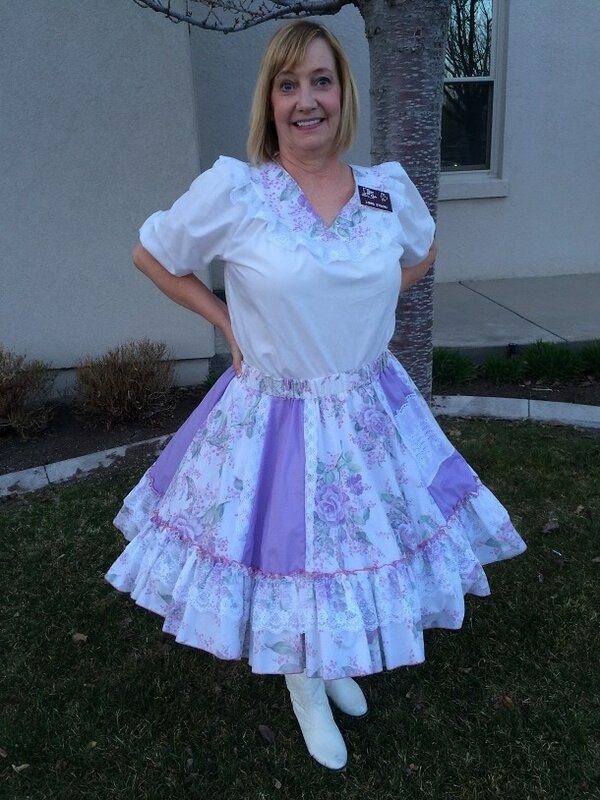 "I bring the passion that I have for square dancing into the hearts of everyone I can. I feel that dancing should be fun, plus a learning and social experience. Dancing also helps to build confidence and self-esteem, as well as enhances the development of motor skills and keeps one healthy and active. Dancing increases creative thinking, promotes rhythm, and adds sparkle and charm to life. "My whole life has been surrounded by good people that enjoy their dancing experience and who feel a commitment to their partners and to themselves. "Our goal for this year is to have fun and enjoy the comradery of square dancing and socializing. "We appreciate the new dancers as well and look forward to your joining with us. "Try it, you will like it!"